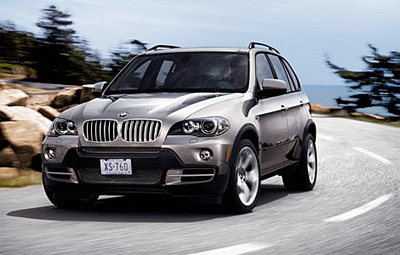 The BMW X5 is a mid-size crossover sports utility vehicle, which happens to be the first SUV by BMW. Finding certain BMW X5 parts can sometimes be difficult. Luckily, UNeedAPart.com has over 7,000 parts suppliers and parts dealers at our disposal to help maximize your chances of finding exactly the BMW X5 parts you need. The parts locating service provided at UNeedAPart.com is completely online-based, so both repair shops and individuals working in their own garage alike can easily access our tremendous network. Locating the BMW X5 parts that you need can sometimes be a time-consuming affair. That is, unless you have access to one of the largest parts locating services in the world! When you use the service provided by UNeedAPart.com, you are harnessing the power and the selection of over 7,000 parts shops. There is simply no better way to find BMW X5 parts! If you need BMW X5 accessories, our service can match you up with suppliers that have one it stock. Likewise, new or used BMW X5 auto parts can be located in just a few seconds using the easy parts locating system at UNeedAPart.com. You've waited for parts from the rest, now try finding your parts with the best! Finding the right BMW X5 parts is easy! To get started, simply use the Parts Request boxes at the top and/or side of the page. You will instantly be matched with auto parts dealers that meet your search criteria. UNeedAPart.com helps you find the new or used auto body parts you need in no time!